Stem and leaf blights are symptoms that appear for various reasons – high rainfall or humidity, spray burn, chewing insect infestation. Here in California we can add other causes, such as drought and salinity burn. These conditions can cause wounding of leaf and stems allowing entry of fungal spores that can cause leaf and stem dieback. This condition is most common near the coast where weather conditions can change from mild and low temperatures to extremely high temperature with winds, such as the Santa Anas or the Sundowners in Santa Barbara. Leaves suddenly dry out, causing cracking either at that time or when they are rehydrated with irrigation. This allows spore entry into the wounds and permits the pathogen to grow in the dead tissue. Symptoms appear 7 – 10 days after the stress. These are decay fungi that create these spores and they are the ones that cause decay of dead tissue on the ground. So their spores are everywhere. The greater part of a tree is dead – the woody part of the branches and trunk. And it is dead tissue that these fungi are feeding on. Most trees will limit the growth of the fungus by sealing off the infection with gums of various sorts. In that case, the disease is limited and you may only see a leaf or small branch dying back. In mature trees it is possible to see a small branch here and there that has died back, but the bulk of the canopy is still green. It has been called “salt and pepper syndrome”, because of that speckled appearance. In the case of young trees with their smaller root systems and a lesser ability to seal of the disease process, a whole tree can die. The only solution to the symptoms is to cut out the diseased parts to prevent its further spread. 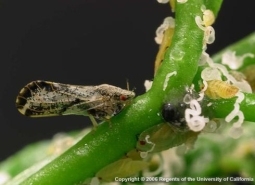 Once the disease starts spreading, the fungus can produce copious amounts of spores, which in the case of avocado can cause cankers and rots on the fruit. Figure. In the case of young trees, the whole tree may die from blight. 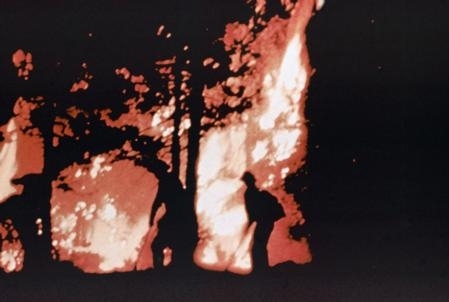 Here's a list of links for growers and homeowners on how to prepare for fire and in the case of fruit trees, how to treat them after they have burned and how to calculate the loss of a commercial fruit tree. You can find the publications listed below at theUniversity of California DANR Catalog site (In the ANR Search type fire) and order more than one publication at a time or you may click on one of the links below.if you purchase a priced publication enter the promotion code PRVEN56 at check-out. You'll receive a 10% discount on your order, and a portion of the sales will benefit local programs. Strategizing for Water Cutbacks…Is there a Logical Method? OK! Let's Strategize. There are four steps for everybody to consider, it doesn't matter if you have a backyard lawn and landscape or if you have 700 acres of avocados. Drain the lines. At the beginning of each year every lateral line should be opened in order to drain the fine silt that builds up. 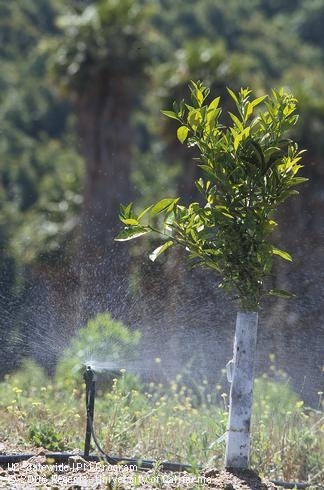 Maintain or increase the uniformity of irrigation so that each tree or each area gets about the same amount of water. Common problems include different sized sprinklers on the same line or pressure differences in the lines. Where there are elevation changes, every line should have a pressure regulator, they come pre-set to 30 psi. Having all of your lines set up with pressure regulators is the only way you can get an even distribution of water to all of the trees, and it solves the problem of too much pressure at the bottom of the grove and not enough at the top. Clean the filters often. You don't have a filter because you think that the district water has already been filtered? Hah! What happens if there is a break in the line in the street and the line fills with dirt during the repairs? All of your sprinklers will soon be filled with dirt. Is water flow being reduced at the end of the lateral line? It could be because scaffold roots are growing old enough to pinch off the buried line. The only cure is to replace the line. Control the weeds because weeds can use a lot of water. Mulch? Mulching is good for increasing biological activity in the soil and reducing stress on the trees, but the mulch will not save a lot of water if you are irrigating often….the large evaporative surface in mulches causes a lot of water to evaporate if the mulch surface is kept wet through frequent irrigation. Mulches are more helpful in reducing water use if the trees are young and a lot of soil is exposed to direct sunlight. 2. Improve the Irrigation Scheduling. CIMIS will calculate the amount of water to apply in your grove based on last week’s water evapotranspiration (ET). You can get to CIMIS by using several methods; for avocado growers the best method is to use the irrigation calculator on the www.avocado.org website. If you need further instruction on this, you can call our office and ask for the Avocado Irrigation Calculator Step by Step paper. You need to know the application rater of your mini-sprinklers and the distribution uniformity of your grove’s irrigation system. CIMIS tells you how much water to apply, but you need tensiometers, soil probes or shovels to tell you when to water. “Smart Controllers” have been used successfully in landscape and we have used one very successfully in an avocado irrigation trial The one we used allowed us to enter the crop coefficient for avocado into the device, and daily ET information would come in via a cell phone connection. When the required ET (multiplied automatically by the crop coefficient) reached the critical level, the irrigation system would come on, and then shut down when the required amount had been applied. Increased precision can be obtained by fine tuning these devices with the irrigation system precipitation (application) rate. Deficit irrigation is the practice of applying less water than the ET of the crop or plant materials. Deficit irrigation is useful for conserving water in woody landscape ornamentals and drought tolerant plants where crop yield is not an issue. Water conserved in these areas may be re-allocated to other areas on the farm or landscape. There hasn’t been enough research on deficit irrigation of avocado for us to comment. We suspect, however, that deficit irrigation will simply lead to dropped fruit and reduced yield. 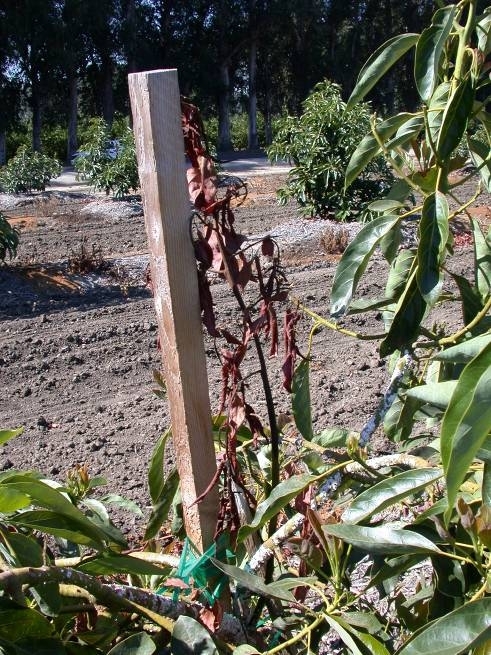 Stumping the avocado tree could be considered a form of deficit irrigation. In this case, the tree should be stumped in the spring, painted with white water-based paint to reflect heat, and the sprinkler can be capped for at least 2 months. As the tree starts to re-grow, some water should be added back, probably about 10-20% of the normal water use of a mature tree. Regulated Deficit Irrigation for Citrus is an important method for saving water, and in some cases will reduce puff and crease of the peel. In one orange trial done by Dr. David Goldhammer in the San Joaquin Valley, an application of 25% of ETc from mid-May to Mid July saved about 25% of applied water for the year and reduced crease by 67%, without appreciably reducing yield. Taking trees out of production. 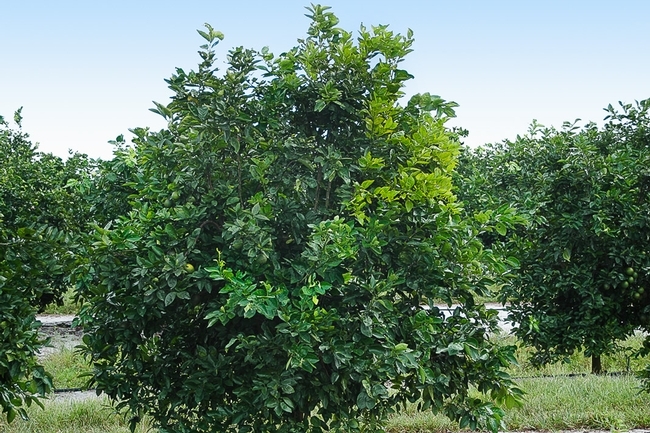 Trees that are chronically diseased and do not produce fruit (or the fruit is poor quality) should be taken out of production during this period. Also consider: trees in frosty areas, trees in wind-blown areas, trees near eucalyptus and other large trees that steal the water from the fruit trees. Changing crops. You may want to take out those Valencias during this period and replant to something that brings in more money, like seedless, easy-peeling mandarins. The young trees will be using a lot less water. Fallow Opportunities. You may decide to do some soil preparation, tillage or cultivation, or even soil solarization of non-irrigated areas. We have found that this four step process is a logical way to achieve water cutbacks with least impact. It is possible to achieve a ten percent reduction in water by only improving irrigation system uniformity and scheduling procedures. Often, these two measures also result in better crop performance and reduced runoff. Reducing irrigated area or taking areas out of production should be a last resort and a well thought out decision. Plan for the future, hopefully water will be more available in future years.